Mr. Trump's remarks on Tuesday came as he was defending those who have sought to preserve the statue of Lee in Charlottesville, Virginia, the focus of a violent weekend clash in which an anti-racist protester was killed. The president didn't exactly equate the Confederate general with the nation's founding fathers. 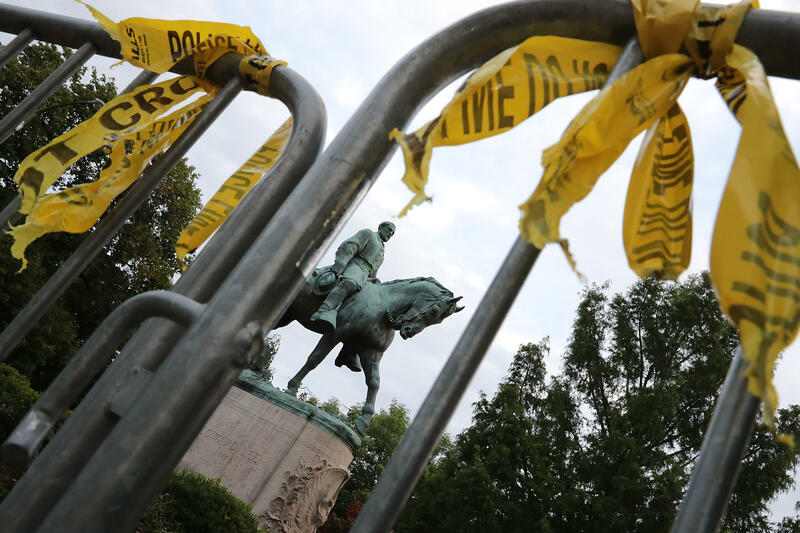 But he noted a similarity sometimes glossed over — ownership of slaves by figures who nobly stand or sit astride horses on U.S. pedestals — and he asked: If you're going to be pulling down statues, "where does it stop?" He said that historical consensus is very different now than when Mr. Trump learned it in school decades ago. People like Lee were presented as heroes and people like Frederick Douglass, about whom the president seemed to have little knowledge earlier this year, weren't presented at all.